I lust after all the Popbasic microcollection releases and the folks there were so fabulous that they sent me the Felicity Collection just so that I could review it for you guys. 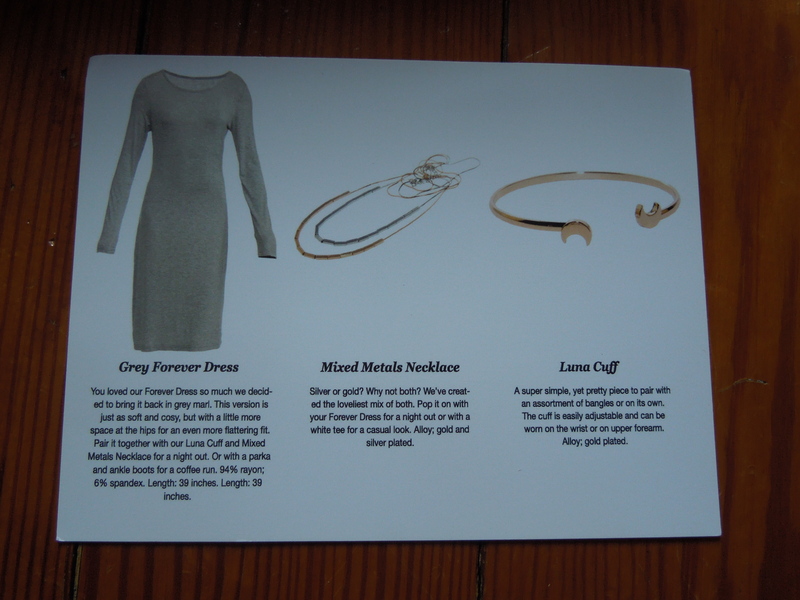 The cost of this collection is $70 and it features a dress and two pieces of jewelry. 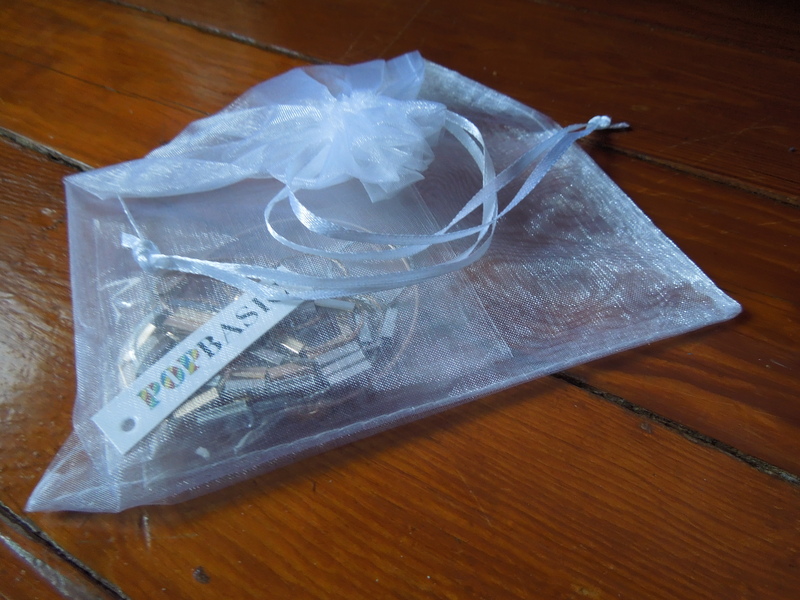 For folks that are unfamiliar with Popbasic, they introduce “micro-collections” of quality basic pieces that you purchase as a set. In December, I purchased the Jovial Collection, and while I loved the design of all the pieces, the fit on the jeans was a miss for me. I was very excited to see how a dress would compare. Once again it came in a super cute box. 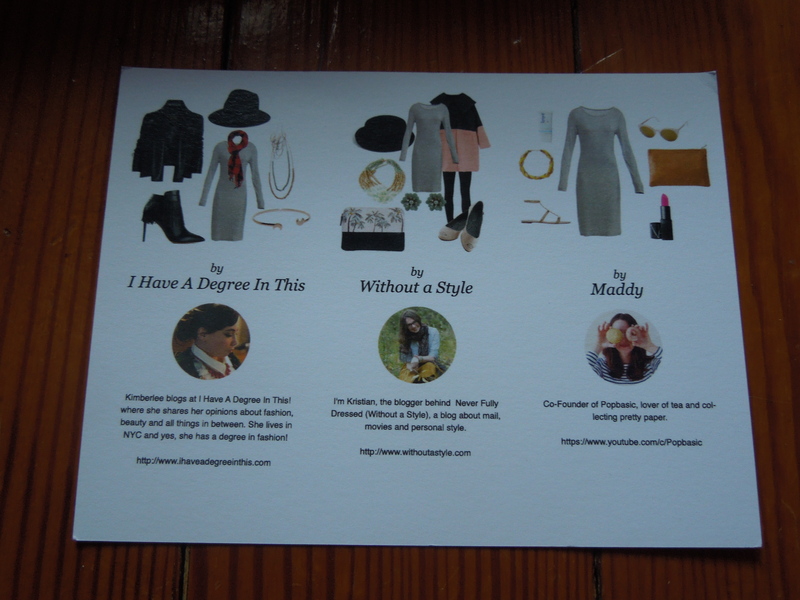 Also included is a dual sided card describing the pieces on one side, then offering styling options on the other. I don’t know what fabric this is, but it’s seriously amazing. It’s super soft and I would love to buy a bunch of tops made from it. Now when I first saw the dress I was worried that it would be too clingy and the sleeves might be too short (I have long limbs). But I was pleasantly surprised. This fabric is the type that doesn’t hide any issues but it’s not super clingy either. 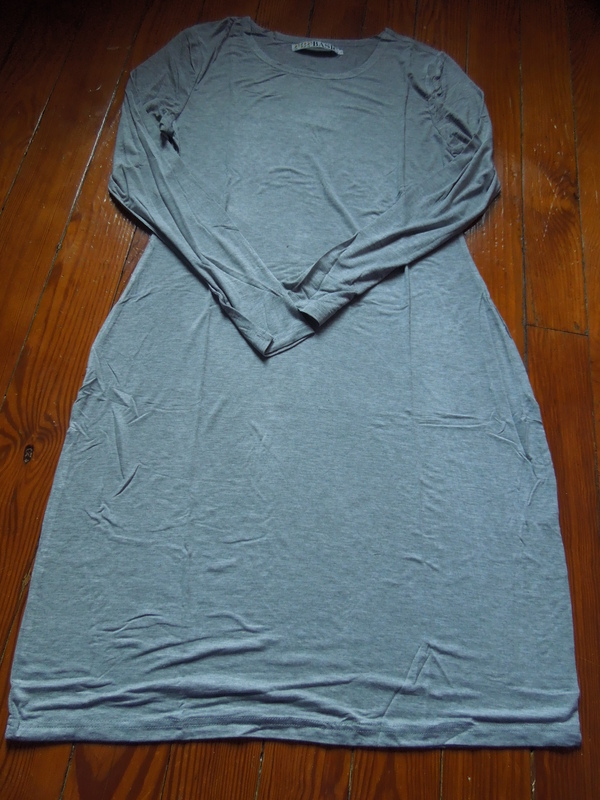 It has a lovely drape and the sleeves and hemline are a bit longer than I expected (which is a good thing!). I’d recommend wearing this with undergarments designed not to show pantylines. I’m a larger size and I was worried that this would show too much to be wearable for me, but it didn’t. My one issue was the color. I’m not a fan of this light of a grey because I feel with my super pale vampire skin it washes me out. If this had been in charcoal grey I would have fallen absolutely in love. Because of the pale color I’ll probably end up wearing this layered rather than on it’s own. 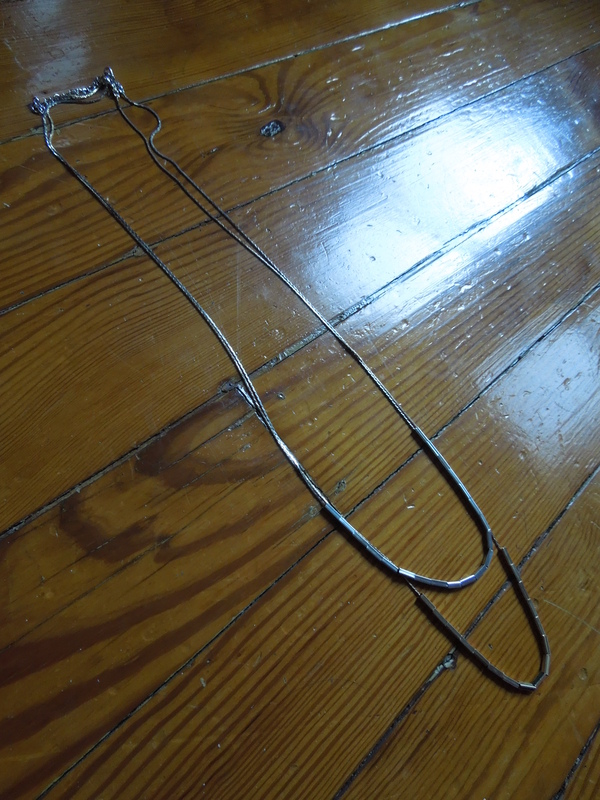 This is a perfect layering necklace. It will work with pretty much any necklace you own. This items was thoughtfully designed so as to maximize your options and I know I will get a ton of use out of it especially layered with my short dainty necklaces. I’m obsessed with all kinds of jewelry (and beauty) that references the moon. 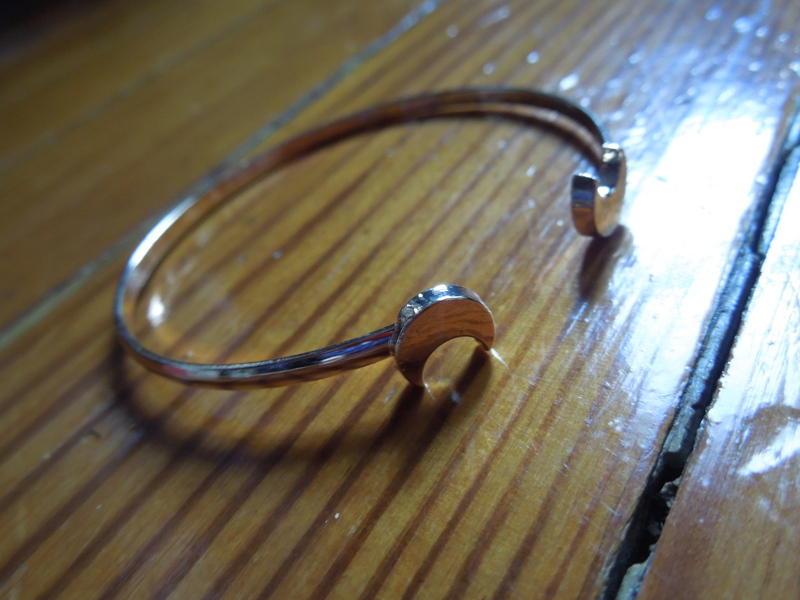 This cuff will look fabulous stacked with other pieces or on its own. As a person with tiny wrists, I love the scale and size of it. Some cuffs overwhelm me or move around too much and this is perfect. I’d love to grab it in silver too. One of the reasons I love Popbasic is that I tend to get obsessed with unique pieces and stuff that is romantic or edgy or maybe a touch complicated and then I get them home and I’m like “okay so what the hell do I wear this with?” Popbasic is perfect at supplying the items that make my more unique pieces really pop (hence, the name Popbasic I guess). 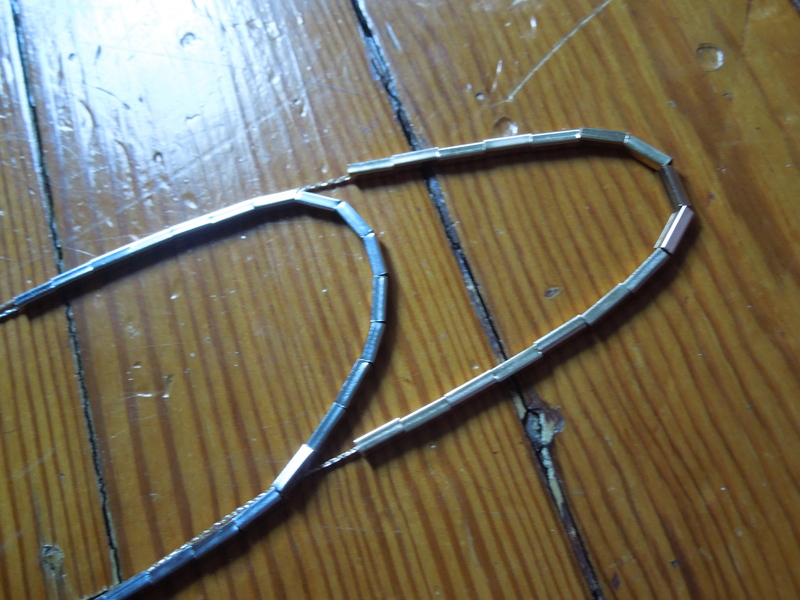 Using my own wardrobe, I’d style these pieces with a romantic pseudo-steampunk vibe. 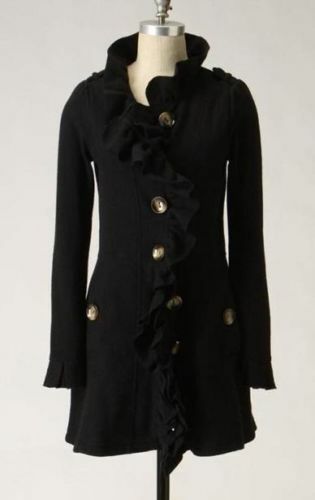 I’d wear my boiled wool Anthropologie ruffle coat over the Gray dress that I’d pair with black leggings and my black Jeffrey Campbell Joe Lace Up boots. 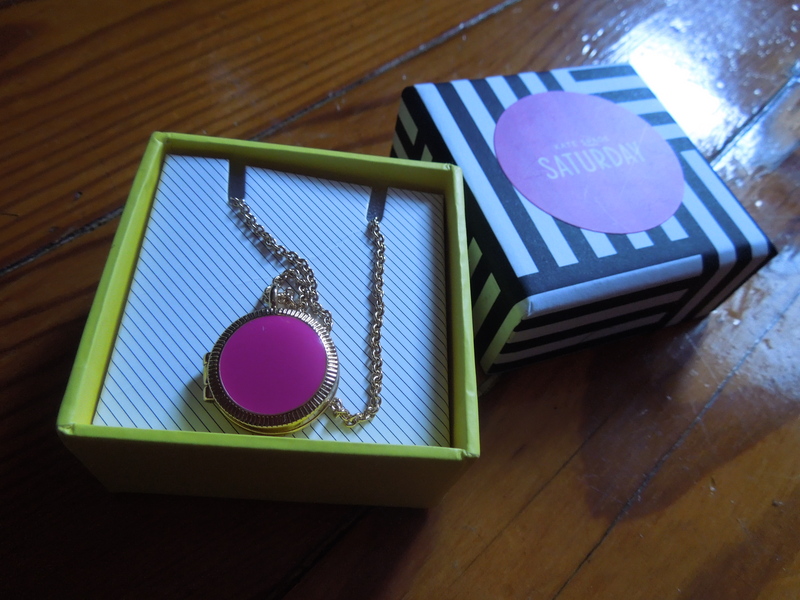 For the Jewelry, I’d add the Kate Spade Saturday locket I snagged as a Birchbox freebie, for a pop of color. 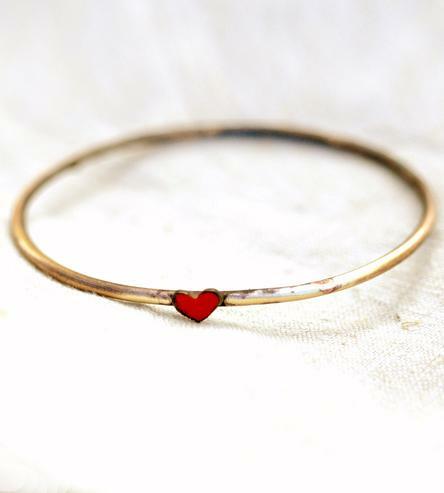 Then add some extra bracelets to the Luna cuff like this enameled heart bangle I just got from Scoutmob and my gold ID bracelet I’ve had since forever. The regular cost of this collection is $70, but I received this one for free in order to review it. If I had paid full price and received this set I would still be thrilled. The quality of the fabric and the design of the dress are fabulous. I love the versatility of the pieces and would be psyched to pick up more items in the awesome fabric of that dress. Popbasic has also released their Isla Collection! It features a cobalt skirt, a black tee and a cute necklace. I am sorely tempted to nab it, but we’ll have to see how my budget feels about the idea. What did you think of the items in this collection? How would you have styled them? Popbasic offers micro-collections of fashion forward, limited edition basic pieces at an affordable price. For $15 off your first collection, please use my referral link. That dress is cute and I love that Luna bracelet. Also, your jacket from Anthropologie is all kinds of awesome! Thanks! That sweater coat is a wardrobe staple for me in the winter. I wish I’d bought it in more colors when it was available. I want that dress. Is there anywhere it can be obtained other than via popbasic? Unfortunately no, since Popbasic designs them, but if you shoot their customer service an email, you may be able to buy the dress on its own. Good luck! I want that dress! 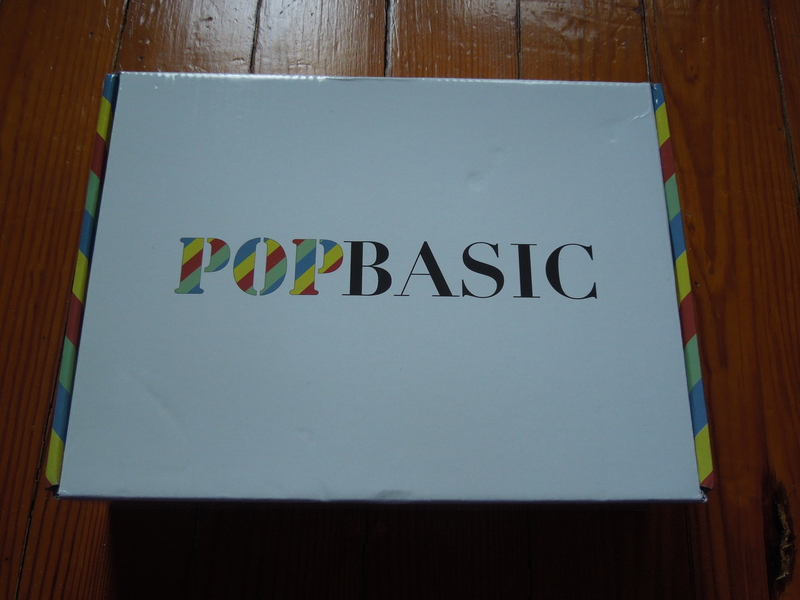 is there anywhere I can get it other than popbasic? No, Popbasic creates and designs them. But if you shoot their customer service an email they can probably sell it to you individually (without the jewelry).